Have you ever hired someone and found out the person you hired is the evil twin of the person you interviewed? Have you ever hired someone and subsequently had to fire that same person? If you have answered yes to either of these you read on. Some people are just professional interviewers and can sell you a bag of goods in the process. How can you avoid being taken by the new thief? 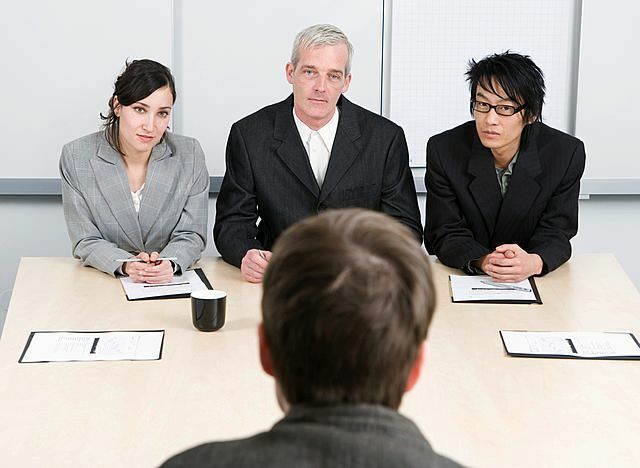 Studies reveal that as many as 30% of job applicants make misrepresentations on their resume. In the October 2003 issue of HR Magazine, ADP payroll and benefits company stated that in 2001 after performing over 2.6 million background checks they found that 44% of applicants lied about work history, 41% lied about education, and 23% falsified credentials or licenses. Why did you hire him / her in the first place? Why did you fire him / her? If you are like the majority of the leaders in my workshops the answer to the first question usually based around the resume, experience, skill set and references etc. The usual answer around why they were fired is also somewhat predictable. These answers include they stole from the company, they could not do the work load (in other words they lied in the interview or on the resume) they had a negative attitude which resulted in and measured by poor behavior habits. Let me break it down this way; you hired the person for what they knew and you fired the person for who they were. Stop and think about it for a minute. We hire for what and fire for who. Let’s turn that thought process around and start hiring for who they are and not for what they know or supposedly know. Here are several steps on how you can hire right the first time. Always ask for a cover letter. Even if you are accepting on line applications ask for a cover letter. If they do not even include a cover letter that means they cannot even follow the simplest of directions. If they include a letter, look at the letter closely. It can tell you a lot about the person. It can tell you about their communication style, education etc. A reasonable percentage of applicants will have their resume professionally written but not necessarily the cover letter. Set directions on when to call in or fax resume. If you are having applicants call in or fax in a resume be sure to set a specific time-line window to do so. Again this is to see how well they follow instructions. Someone who cannot follow simple instructions will most likely not follow work instructions and try to buck your system and cause disruptions on the team. Set the first interview for a phone interview. This can save you a bunch of time and can tell you about their phone style as well. Be sure to have several specific questions prepared for everyone you call. These should be questions about work experience, background, their personal objective as to why they want to work with your organization etc. Be sure to note how well they communicate and sell themselves (without being a canned speech) over the phone. Be sure to take notes and compare them to the responses you get when you bring them in for an interview. Consistency is vital. Meeting the person in person should be nothing more than a continuance of the telephone conversation. Now depending on the position they are applying for you may want to schedule as many as four interviews for the person in one morning or afternoon. This shows you how serious the person is and if they are willing to take off this much time to interview. It also opens up some freedom for you. In using this approach you need to have one or two identical questions scheduled to be asked by each person during the process. Why? Actually there are two reasons. Simply to see the level of consistency and I think that is obvious. This one is to see if the become irritated at the repetition of the same questions. In the meeting you should also be asking questions that surround your corporate core values, corporate vision and mission. If there is no match here you most likely will not have a match on the team and consequently you are asking for trouble down the line. Questions should be the type that evokes emotion in the applicant. The deeper you dig the more you will find out about this person. Questions here can include, “What is important about success to you?” Most likely the answer will revolve around something monetary or at least tangible. Now you want to explore a little and ask them to expand on this. What you are doing is locating a “feeling” response something not materialistic. Do not move on until you have at least two feeling responses. Once this is uncovered you can now ask why this is important to them. You may find out that they believe in working together with a group of people who have fun to achieve the team’s mission. When asked why fun is important, they unveil that fun creates energy and energy gets the job done which in turn breeds more fun. Can you work with this style of a person on your team? Better yet, is this person a good fit for the rest of the team? One thing you always want to know is about their willingness to grow and continually develop. A great closing thought is to learn about the training they have had in the last 12 months. You should also ask the last three non-fiction books they have read. If they are not reading and attending workshops they most likely have a small comfort zone. This translates to a large panic zone where they get disturbed and become upset more easily. Some organizations tell me that they just want a warm body in there. That quite possibly could be the worst thing anyone could do. Putting the wrong person on the team will destroy the team in the long haul and the cost to revamp the team in a year or two is not worth putting the wrong person on the team. Top organizations will tell you that you are better off leaving the position open longer rather than placing the wrong person on the team in the first place.